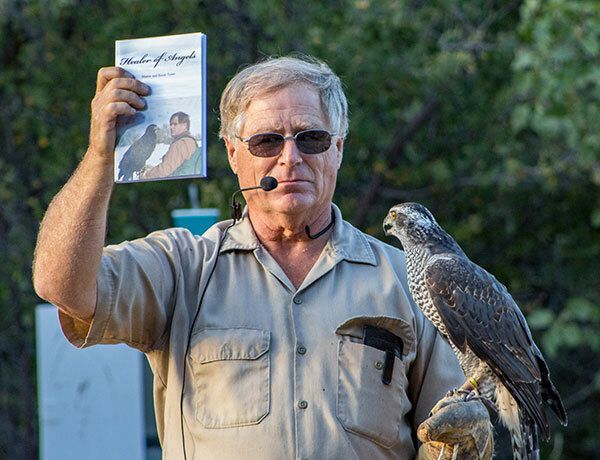 Since age twelve, with a bird on his arm, Martin has captivated audiences sharing his knowledge and experience of his wildlife friends. At age nineteen, Martin was hired as curator of birds of prey at Busch Gardens, CA. He also worked in the movie and television industry training big cats, elephants, primates, sea mammals and raptors. 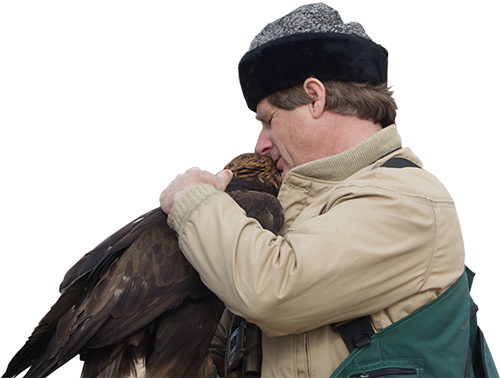 Martin Tyner is a federally licensed falconer, eagle falconer, wildlife rehabilitator, wildlife propagator, and wildlife and environmental educator. He has been providing wildlife and environmental programs throughout the western United States, to schools, scouts and community groups for over fifty years. 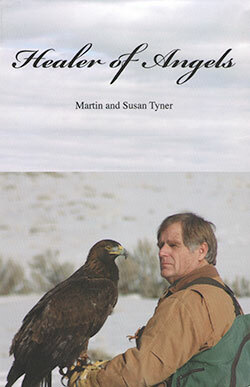 Martin's book, Healer of Angels, reflects back on his life: from a young boy terrified of birds to becoming the first man in North America licensed to train a wild golden eagle in the ancient art of falconry. Through a heartwarming collection of true stories he describes his challenging transformation from a shy dyslexic teenager, to the founder and CEO of the Southwest Wildlife Foundation. 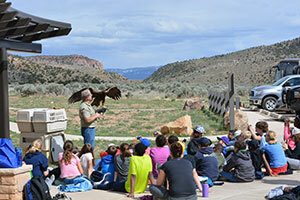 Martin Tyner offers “Birds of Prey,” an exciting educational program. The audience enjoys beautiful slides of wild raptors, while Master Falconer and educator Martin Tyner teaches about these majestic birds. Identification, hunting, nesting behaviors and our shared environment are among the topics discussed in the presentation. 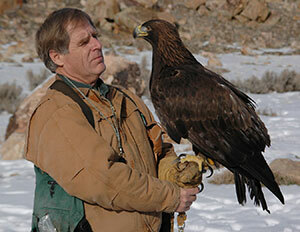 A golden eagle named Scout is just one of the raptors accompanying Mr. Tyner in his live birds of prey program. The beginning of a Birds of Prey presentation in Red Rock Canyon Las Vegas. The first in a new series about training a wild bird of prey in falconry. Have you ever wished you could get close to wildlife for great photo opportunities? Would you like to watch a falcon flying free, diving at its quarry at speeds up to 200 mph? Stand in the presence of a powerful golden eagle? 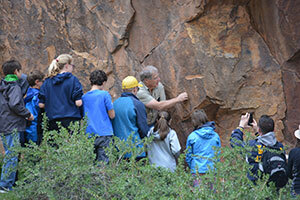 Explore ancient petroglyph's and discover dinosaur tracks that are approximately 65 million years old? A group of friends, family, and supporters join Martin out at the Parowan Gap to release a rehabilitated Great Horned Owl. After hosting Bird watching tours for an Audubon group from Las Vegas, Martin asks one member to release to rehabilitated Red Tailed Hawk. Martin has over 50 years experience speaking to a wide variety of people in myriad of locations. In addition to school and outdoor venues, Martin has also visited offices, special events, correctional facilities and even impromptu sessions on highway offramps. There is more to speaking with a wild bird on his arm than teaching about wildlife. With a bird or two to hold attention captive, Martin shares stories of his life. Through sharing of his struggles and triumphs growing up, Martin has affected countless individuals in meaningful ways. The story of Martin's long, long, struggle in seeking a seemingly impossible donation for a small town Wildlife rescue. Martin shares the story of his second Golden Eagle, Scout, and the challenges of caring for him and other wild birds. Join Martin Tyner as he reflects back on his life: from a young boy terrified of birds to becoming the first man in North America licensed to train a wild golden eagle in the ancient art of falconry. Healer of Angels is a heartwarming collection of true stories about overcoming life's challenges and disabilities with the guidance of wise grandparents and other mentors. Read about his transformation from a shy dyslexic teenager, to the founder and CEO of the Southwest Wildlife Foundation. Some of the stories are humorous and some bittersweet, but each will inspire, teaching a lesson as it touches the reader's heart. At age twelve, Martin Tyner started caring for the sick, injured and orphaned creatures in his home town of Simi Valley, CA. 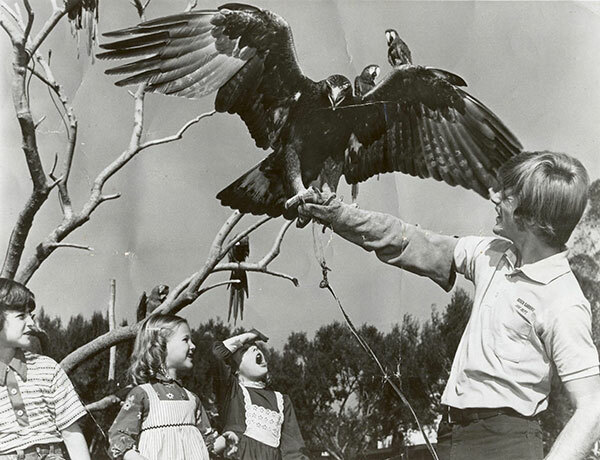 At age nineteen, Tyner was hired as curator of birds of prey at Busch Gardens, CA. He worked in the movie and television industry training big cats, elephants, primates, sea mammals and raptors. 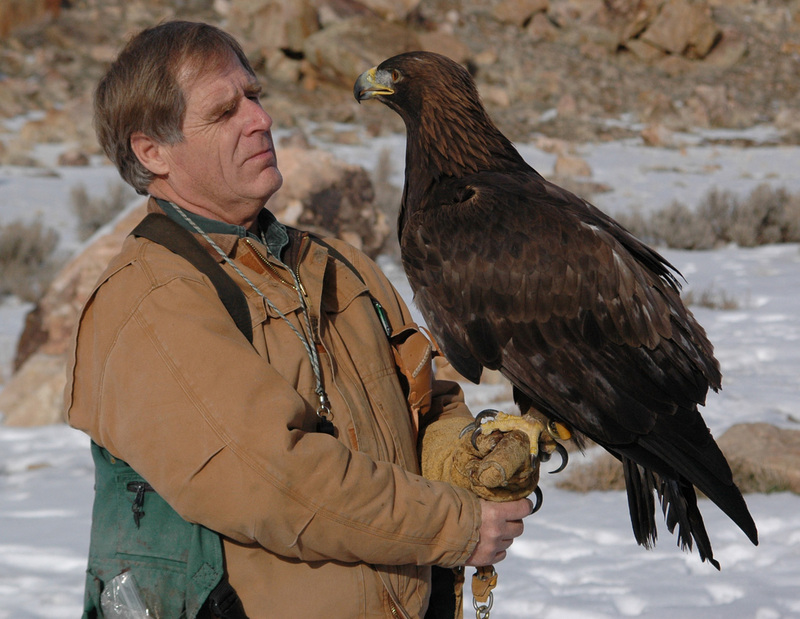 Martin Tyner is a federally licensed falconer, eagle falconer, wildlife rehabilitator, wildlife propagator, and wildlife and environmental educator. 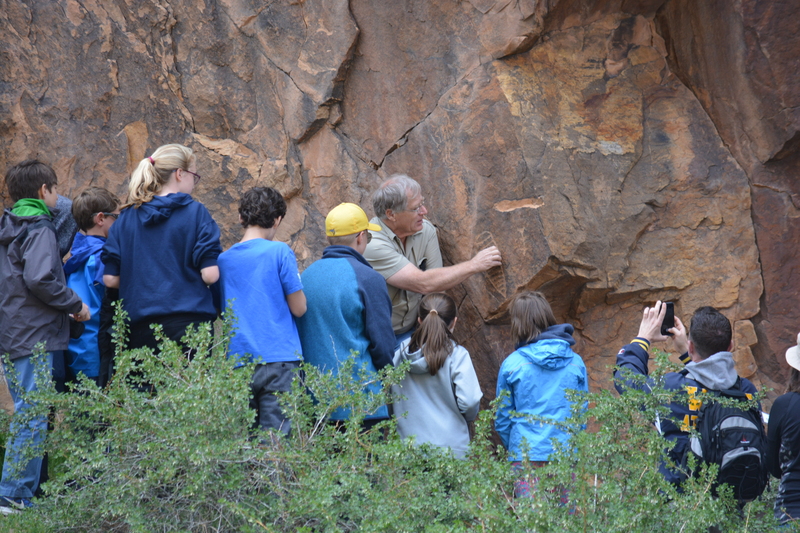 He has been providing wildlife and environmental programs throughout the western United States, to schools, scouts and community groups for over forty years. 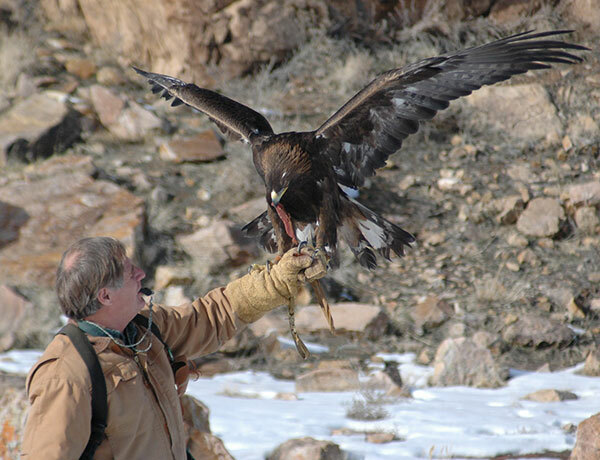 Martin Tyner provides Birds of Prey and Excursions through Road Scholar. He is included on three of their Utah Adventures: Hiking Bryce and Zion National Parks, National Parks With Your Grandchild: Zion, Bryce & Grand Canyon and Canyons, Cliffs & Rivers: The Geological Wonders of Zion. Since these adventures change on occasion, they recommend calling before scheduling in order to make sure the itinerary is still as listed on their site. He has also taught summer classes at Southern Utah University called The Ancient Art of Falconry and Shakespeare, and performed in the Green Show with his raptors for the Utah Shakespeare Festival. 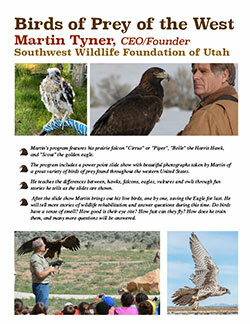 Martin Tyner is the founder of the Southwest Wildlife Foundation of Utah, which is a 501(c)(3) non-profit wildlife rescue, wildlife and environmental education organization. With the help of his golden eagle, Bud, they received a donation of 22.6 acres of beautiful, canyon property from Utah Power/Scottish Power for the development of a permanent wildlife rescue facility and a nature park for the children of Utah. In 2005 Martin and Bud were honored by the Utah State Legislature for over a quarter-century of wildlife rescue and wildlife and environmental education in Utah. Martin Tyner is one of America’s foremost wildlife rehabilitators, a master falconer, eagle falconer, and wildlife and environmental educator. In 1976, Martin met the love of his life, Susan, who is an animal lover in her own right. Susan Heaton Tyner began her career working with animals in 1977, as a bather-brusher at the Canine Castle, a local dog grooming shop, in Simi Valley and finished her training at the Pet Oasis, in Lancaster, CA, where she graduated to the position of professional dog groomer. Susan and Martin moved to Cedar City, UT, in the winter of 1979 where they raised two children. In 1982, they opened Tyner’s Pets and Dog Grooming where Martin ran the pet shop and Susan groomed dogs. Susan volunteered as a leader in 4-H, developing the Guide Dog for the Blind puppy program in Southern Utah. She has been grooming dogs professionally for over thirty years and is an award-winning, international, creative groomer. Martin continues to travel throughout the west providing wildlife programs accompanied by his devoted companion, Scout, a wild golden eagle. Between events, Martin and his birds have plenty of experience on both sides of the camera. Since high school, Martin has polished his skills as a wildlife photographer. He makes his own prints and sells them at events and online to raise funds for his foundation. He is also long experienced handling his birds for movie and television crews. In 2015 Martin was named Cedar City Man of the year. 2018 marked Martin's 50th year of caring of critters and educating the public. His efforts were acknowledged by the City Council of Cedar City and Senator Vickers honored Martin on the Utah State Senate floor. A phone call is the best way to contact Martin. His work keeps him frequently on the road, outside with the critters, and in the wild, so his computer time is very limited. You can, however, follow news of his foundation activities on the Southwest Wildlife Foundation sites: Gowildlife.org, Facebook, YouTube, Twitter, Instagram. 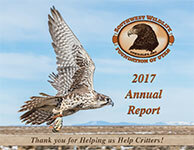 This site was built and is maintained for Martin by the Southwest Wildlife Foundation of Utah Volunteer Critter Webgeek.